In late February, I headed to Piper Down in Salt Lake City to meet up with Irish brand ambassador, pub historian and whiskey expert Tim Herlihy from Tullamore D.E.W. Oh, and he’s drinking some whiskey too. Bellied up to the bar, we learned that last St. Patrick’s Day, Piper Down hosted nearly 3000 people celebrating the holiday as well as thousands more during the city’s annual Saturday celebrations. Food, drink and live music are all on tap today as well. Although whiskey is making a comeback in popularity, many drinkers might not yet be ready for a whiskey neat so our discussion flowed to whiskey cocktails. “Irish coffee is finally a drink that’s getting treated like a cocktail,” says Herlihy as he describes the “brilliant Irish coffee” made with serious focus on heavy whipping cream and use of Libbey Irish coffee glasses he enjoyed at Reilly’s Irish Pub in Anchorage, Alaska. Perhaps the best know whiskey cocktail is the hot toddy. It’s warm, comforting and keeps you well. The inventor of the hot toddy was an Irish-born physician named Robert Benton Todd who basically prescribed the hot toddy as a cure for everything. “He often said that it was cheaper to heat your drink than heat your house,” Herlihy states. 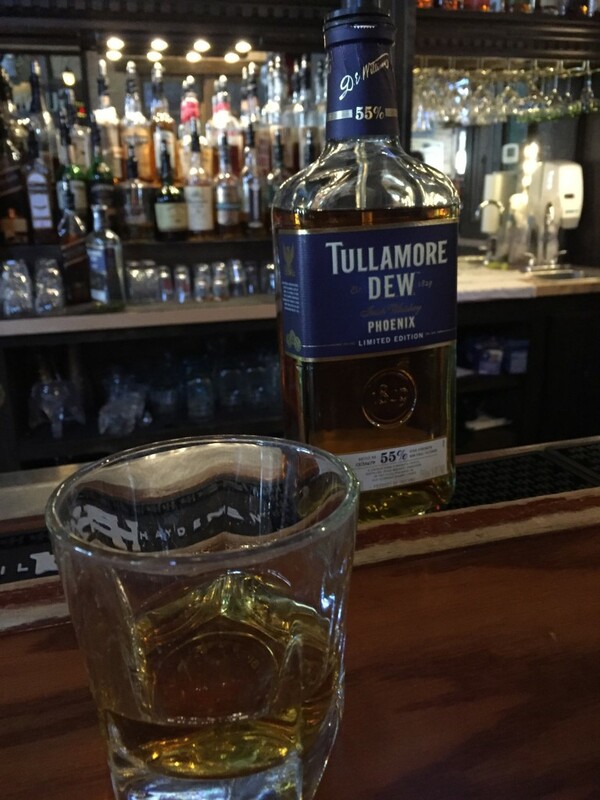 And with each whiskey–this time the 12 year old Tullamore D.E.W.–his toasts grew. In honor, Herlihy says the whiskey prayer.